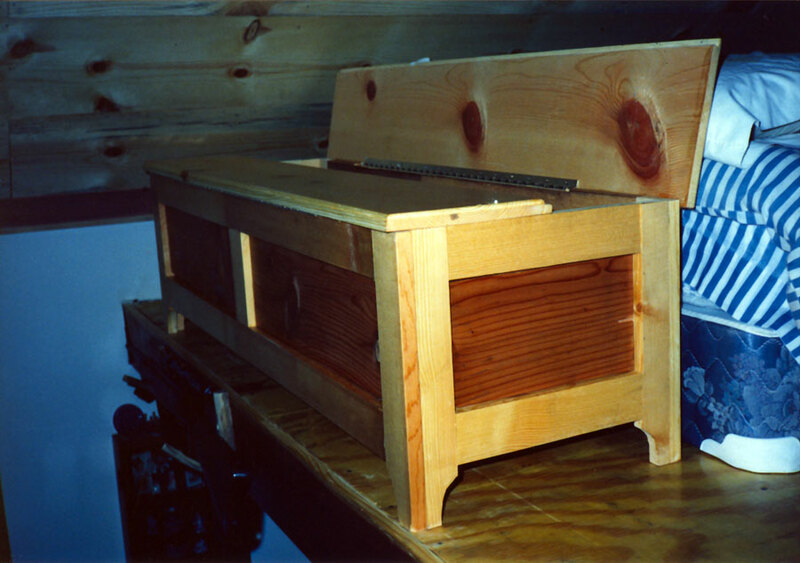 Simple chest made of pine and cedar built to fit between the end of the bed mattress and the edge of the loft floor. 1990, scanned color print, 3 x 5 in. (7.62 x 12.7 cm). Ozark Series. © 2008 by Allen C. Benson.